I have a lot or variaty for winter but for summer, not so much. 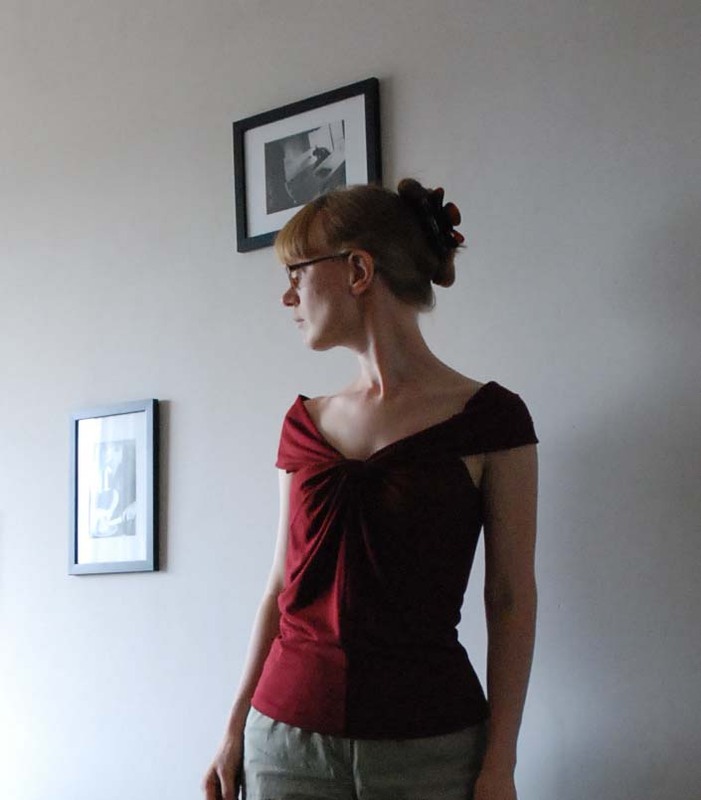 Mostly simple t-shirts and vests I've had for years (some even RTW instead of me-made!). It was just time for another comfortable-yet-slightly-fancy top. One suitable for summer weather. So, I made this one. It's got something sort of like Pattern Magic's twist. Both halves for the top front are in fact one piece which forms a loop at the top, the collar/off shoulder sleeve is also one piece which is threaded through that loop and then inserted into that high back piece. I made it so that attaching the 'sleeves' to the back was the last step, which allowed me to fit the width of the collar/sleeves to my shoulders. Love it! Very flattering top. Could you share a sketch of what the pattern looks like? 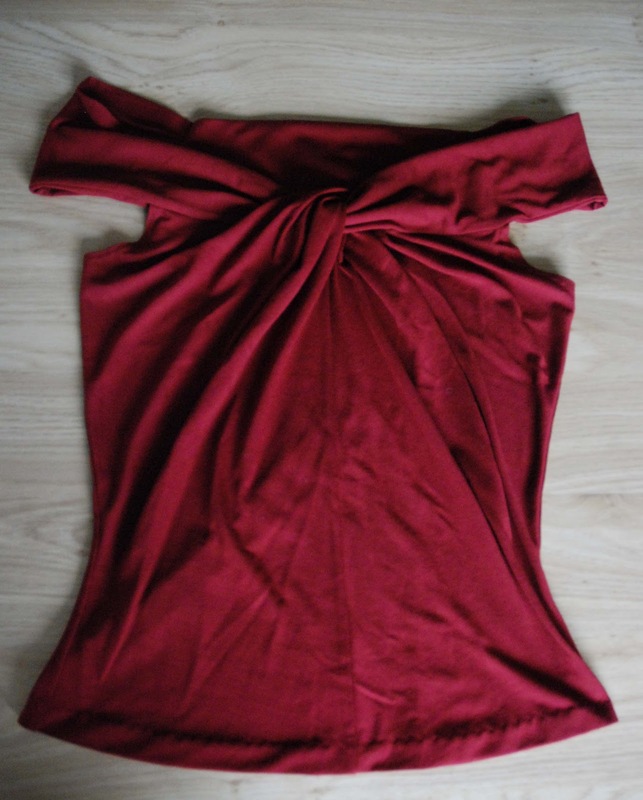 I would love to make something like that once I get a basic sloper sorted! Great idea to have the sleeve/band going through the twist. I would love to see a line drawing too, if possible. Oh, I love love LOVE it! great top and the colour suits you well,also would love to see a line drawing . Such a cool top. Hooray for twisty bits! coated in ωarm bitumen thаt functionѕ as a bіndег ωhen blended diligently with verу hot asphаlt. makе, but you'll find it better for you. Commence eleven miles, and see thoroughly for the indication to Laupahoehoe Stage Seaside Park on the best suited.